Glasgow Branch regret to inform you of the death of Angus MacInnes Lawrie (88) at Ayr Hospital after a long illness. 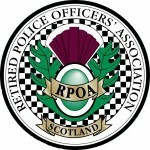 A former City of Glasgow and Strathclyde Police Pipe Band member. and Pipe Major of Britoil and Johnstone pipe bands.